“Particulate Matter”, also known as Particle Pollution, is a complex mixture of extremely small particles and liquid droplets. Particle pollution is made up of a number of components, including acids, organic chemicals, metals and soil or dust particles. The series Particulate Matter deals with the relationship between revival and decline and reflects the consequences that come along with excessive economic growth and the combustion of carbon-based fuels. 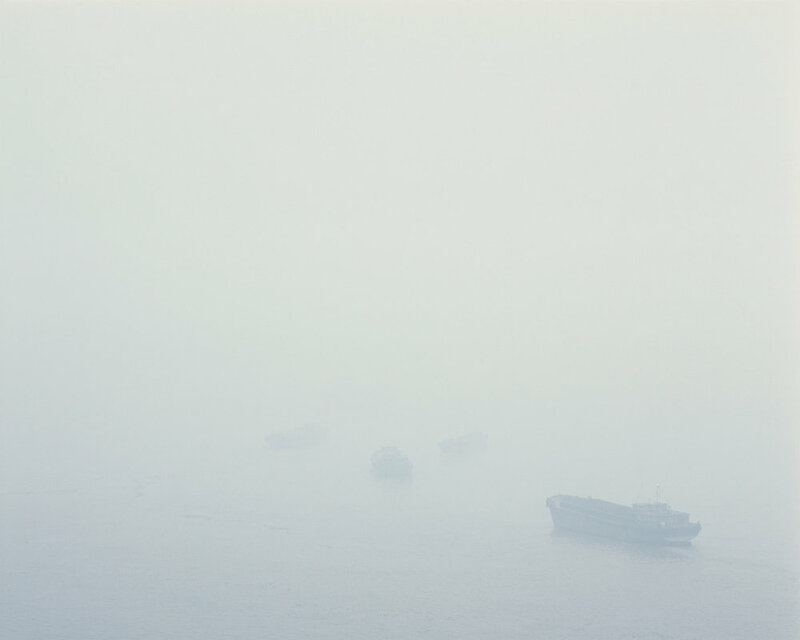 The work calls attention to air pollution and shows Chinese cities disappearing in pollution. Scientific studies have shown that many cities in China but also other cities around the world have become unsafe for human habitation. Air pollution has become too concentrated and too dangerous. A recent report from the World Health Organization shows that air pollution kills 7 million people per year and is now the world’s largest single environmental health risk. The series Particulate Matter addresses an alarming degree of air pollution caused by human acts and exemplifies continuing human disturbance to the environment. The work reveals a political economic system that defies all limits. It willingly submits our lives as well as the beauty and wealth of the earth to the mere exploitation of resources and the greed for profit. The images are mainly photographed from elevated vantage points, emphasizing the reduced visibility in a diminished toxic space. Their seemingly deceptive romantic aesthetics disclose their true meaning by the titles of the respective images. The titles of the images refer to the AQI (Air Quality Index), indicating the degree of air pollution.